11th Annual Festival in 2020! 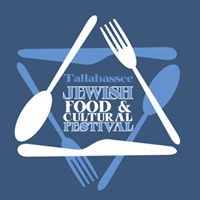 Sponsorship: As a sponsor of the Annual Tallahassee Jewish Food & Cultural Festival, you will reach thousands of people from all over the Big Bend area and show your support for the food, culture and arts community in Tallahassee. Vendor Information: We are looking for vendors for our Arts & Crafts outdoor arena. Are you an artist and/or craftsman who would like to participate at the 11th annual Jewish Food and Cultural Festival? Complete the vendor application here. Questions? Contact Judith Lyons at jsblyons@gmail.com. A huge Todah Rabah (thank you) to the over 250 volunteers, the Tallahassee community, and our wonderful sponsors who made this year's festival the incredible event it was. March 4 was a sunny, breezy day, and thousands turned out to "fress" on 850 pounds of corned beef, 500 pounds of pastrami, half-sour pickles, matzo ball soup, and traditional Jewish baked goods. And, let's not forget about the nonfood activities! Festival participants enjoyed the beautiful weather outside, the special area just for kids, and buying arts and crafts from the many community vendors. The entertainment included Israeli dancing lessons, Jewish from Temple Israel's well-known house band, Bagels and Biscuits, Klezmer and Jewish Jazz from The Whole Shebang, Shiru Shir (children's choir), and Bo'u Nashir (adult choir).